Imagination 6x6 Patterned Card called Leafy Shadows to the front of the card. 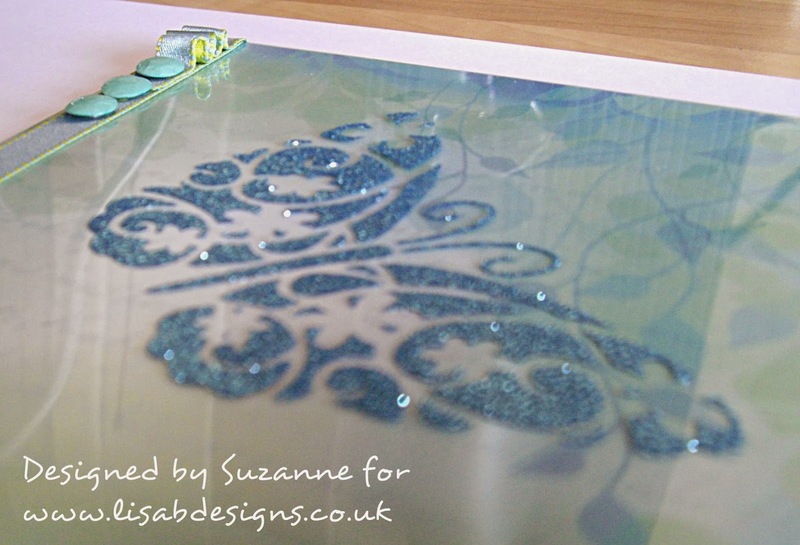 I spread the Sparkle Medium over the stencil before carefully peeling the stencil away from the acetate to reveal the butterfly. Because the tape was visible through the acetate, I attached another strip of tape in order to hide it with some ribbon and a few co-ordinating Craftwork Cards Card Candi. My next card was made in a similar way. I inked the card through the stencil. using my clean, dry stencil (which I washed in warm soapy water). 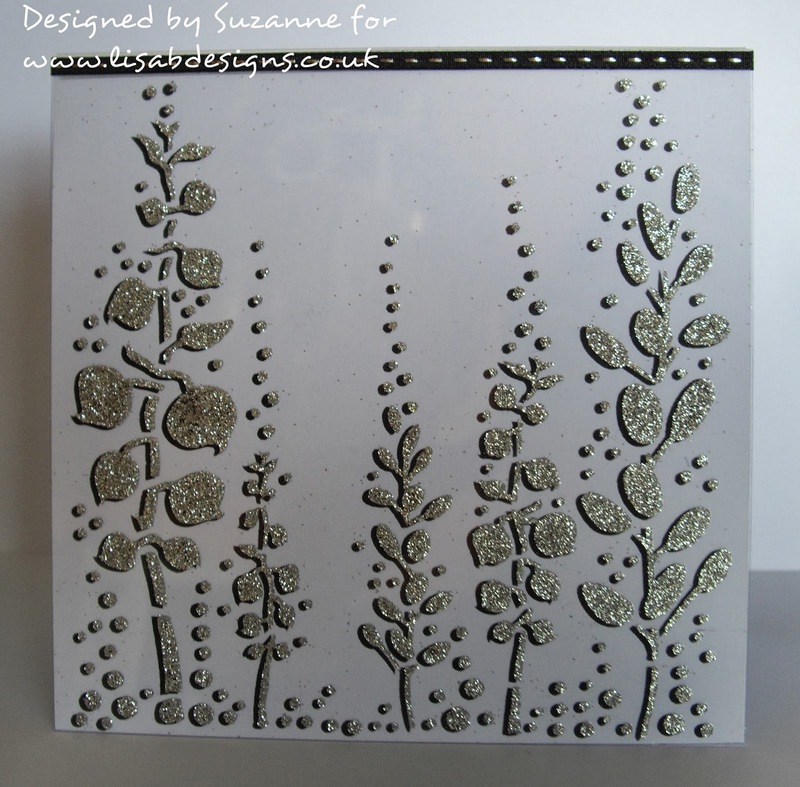 I spread the stencil withImagination Sparkle Medium in Silver using a craft palette knife. I carefully peeled away the stencil and left the Sparkle Medium to dry. I trimmed the acetate to fit the card and attached it with strong double sided tape along the top of the card and then attached some black ribbon over the top to hide the tape. Have a great week and keep crafting. 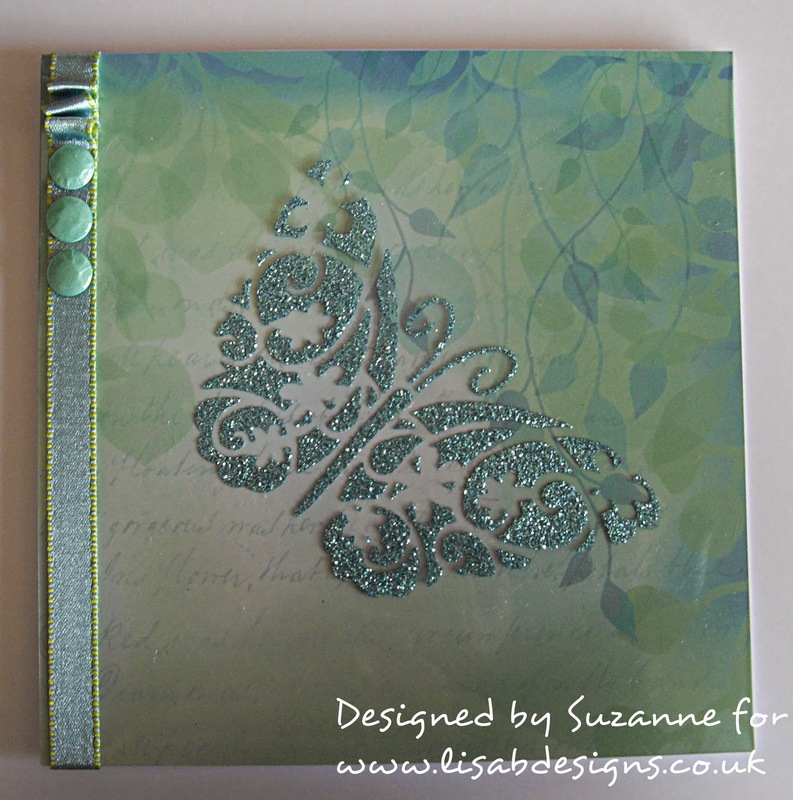 These are beautiful Sue, love the designs. The bay leaf card is fabulous. Love that technique with the black shadow, very effective! Two beautiful cards. Love the second one with the black shadow. A great idea that I will definitely try.